​Nicholas Hales is a contemporary artist living in Cape Town, South Africa. 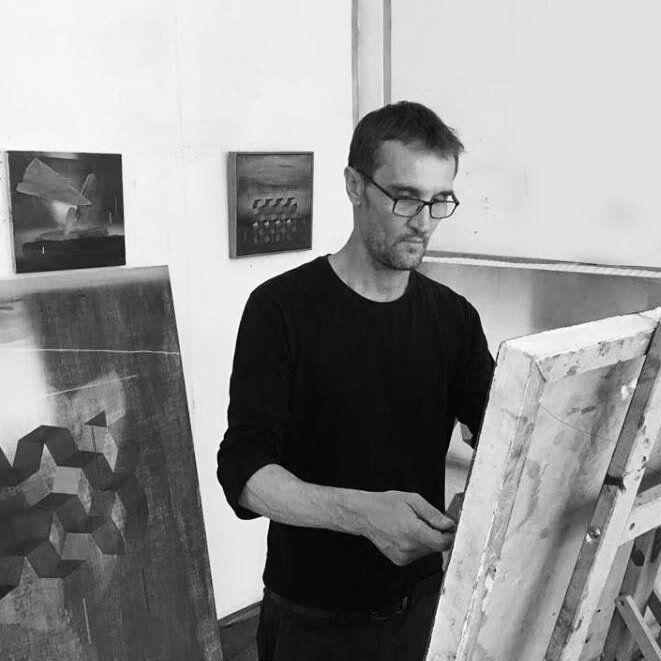 He works across a number of disciplines, including painting, drawing and video/film. His work is primary centred around the investigation of the self. Often examining meditative and contemplative modalities as vehicles to access the self. He draws parallels between the individual's pursuit for wholeness with those of the collective (society). His work is influenced by the Zeitgeist, transpersonal psychology, spirituality, neuroscience, aspects of reality, (including the virtual), Eastern philosophy, and the joy and pain of the human experience. He has held five solo exhibitions, and has participated in numerous group shows in South Africa and a number of exhibitions internationally. He has won a number of awards for his work. In the last ten years, Nicholas Hales has also worked as a screenwriter and directed a number of small film projects. He has a Advanced Diploma in Fine Art from the University of Cape Town and a Diploma in Graphic Design also from the University of Cape Town.